Loco Dice (born Yassine Ben Achour on 10 August 1974) is a Tunisian DJ and electronic music producer born in Tunis and based in Düsseldorf, Germany. His family is from Tunisia. 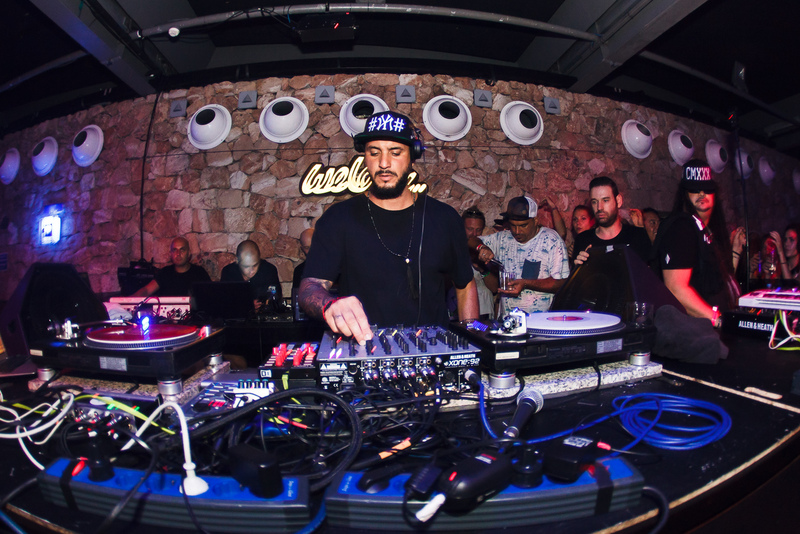 Loco Dice started his career as a hip hop DJ and rapper, playing support slots for performers such as Usher, Ice Cube, Jamiroquai, Snoop Dogg and R. Kelly. He has released records on labels such as Ovum, M-nus, Cadenza, Cocoon and Four Twenty. He also compiled and mixed “Time Warp 07”, a double CD featuring various minimal tracks. Loco Dice has collaborated with cosmetics brand uslu airlines, co-creating a nail polish that comes with a special music mix. Note: Minimal Explosion is a DJ mix CD by Loco Dice, given free in a 2005 Mixmag issue. Dice is credited as ‘Loco Dice DC10’. Time Warp 07 is also a DJ mix CD.